COLUMBIA, MO – TANDEMKROSS is proud to announce the addition of their innovative firearms upgrades to MidwayUSA's online offerings of gun parts and accessories. 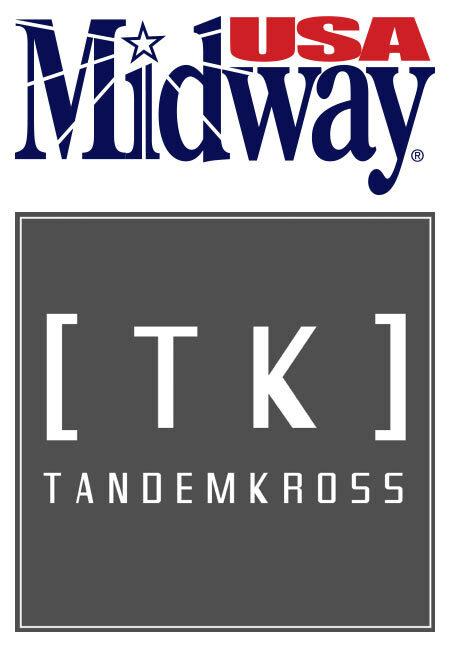 "We are very proud and honored to have our products offered by Midway USA,"said Bryan Haaker, TANDEMKROSS’ Business Development Director. "They are famous for their incredible customer care and contact and one of the largest e-tail firearm accessory marketplaces in the world. 22 enthusiasts and competitors alike will now be able to completely outfit their firearm in a true one stop shop." 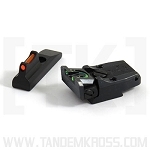 TANDEMKROSS is an aftermarket firearm accessories company that manufactures upgrades and improvements for popular firearms including the Ruger® MKIV and 22/45, Ruger® 10/22, Smith & Wesson® SW22® Victory™, and Browning Buck Mark.Former software developers Bryan Haaker and Jake Wyman founded the company in 2012, when they turned a bad day at the range into a business dedicated to creating solutions for common firearms problems and complaints. Five years later, TANDEMKROSS has quickly grown into one of the top after-market accessories manufacturers in the rimfire competition market, designing high-performance, and innovative upgrades for competitors in Rimfire Challenge, Steel Challenge, and other popular shooting sports. Both country kids from Missouri, Larry and Brenda Potterfield turned their passion for shooting sports into a career by opening a small gun shop in 1977 that would eventually become MidwayUSA (http://www.midwayusa.com). They instilled family values like honesty, integrity and respect for others into the business, and strive to maintain this culture with each Employee added to their growing team. For over 39 years, MidwayUSA has maintained an unyielding focus on Customer Satisfaction and continues to offerJUST ABOUT EVERYTHING®for Shooting, Hunting and the Outdoors. For more information on MidwayUSA, visit their website, find them on Facebook, or follow them on Twitter.